The Highcon™ Beam digital cutting and creasing solution extends the digital finishing revolution to mainstream production. 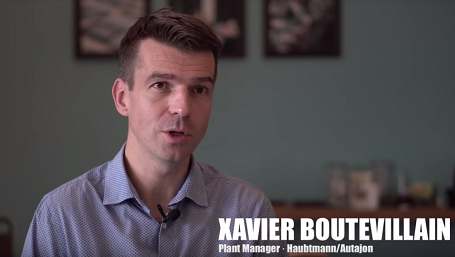 With a speed of up to 5,000 sheets per hour, this breakthrough machine was developed as a robust solution to the challenges facing folding carton converters and print service providers. 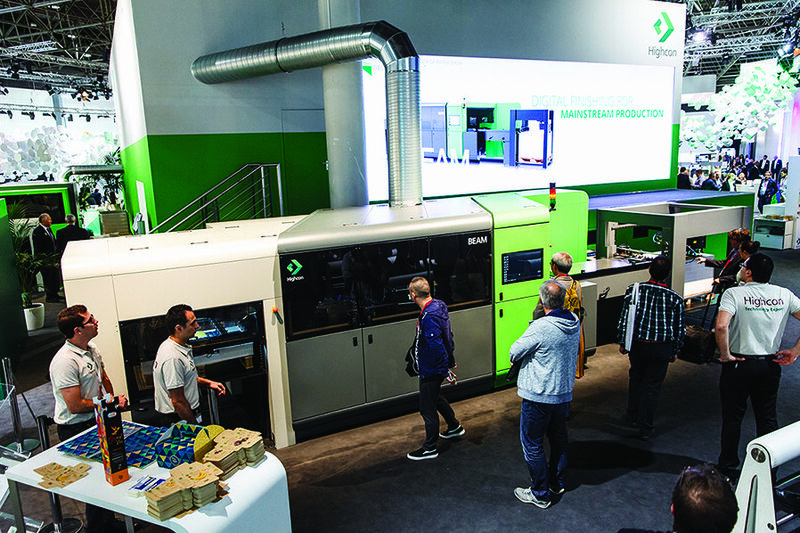 The Highcon Beam replaces the expensive and slow conventional die-making and setup process with a digital technology that delivers improved responsiveness, design flexibility and the ability to perform a wide range of applications in-house. The Highcon Beam takes digital cutting and creasing into a new dimension of value, to both your business and your customers. 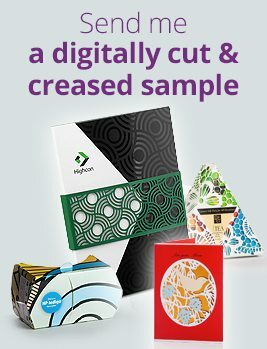 Interested in receiving a digitally cut & creased folding carton sample kit? Click here to fill out the form and we will send you some. Last minute editing of crease and cut lines, Corrections, design changes, optimization, Nick optimization, Increasing or decreasing the size of nicks, Adding and removing nicks, Stripping lines which facilitate efficient waste removal. * This optional module is included with the Highcon Beam and the Highcon Euclid. This is an optional add-on module available for all Highcon digital cutting and creasing machines. 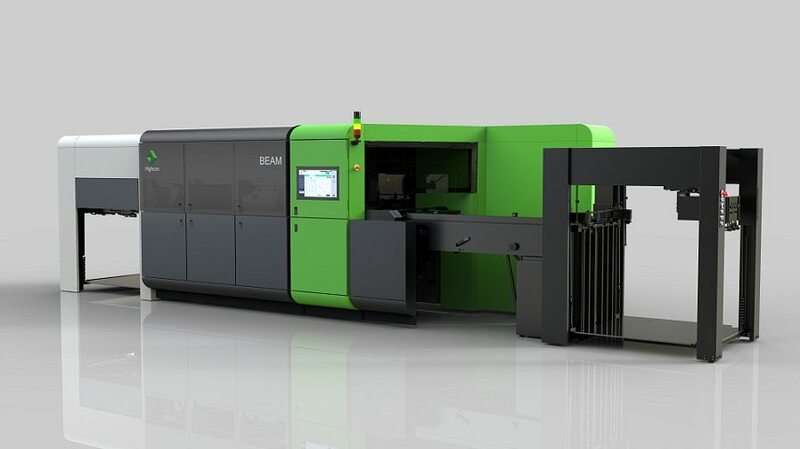 The waste stripping mechanism is a built-in unit inside the Highcon machines that automatically removes the waste from the smallest internal cutouts produced on the sheets by the lasers. The optimized cutting algorithms, together with a new substrate handling system ensure completely clean cuts that are essential for intricate cutouts. All the small particles drop into an easily removable chamber. * This module removes the need to buy, setup or store a separate stripping tool and further advances the productivity of the machine. Cartonboard & labels – cutting 200-900 µ 8-36 pt. Cartonboard & labels – creasing 200-650 µ 8-24 pt. Microflute Microflute N+F+G up to 1.2 mm 47 pt. Corrugated . E up to 2 mm. 78 pt. Machine dimensions & weight L x W x H 8.8 x 2.1 x 2.3 m 28 x 7 x 7.5 ft.